Miso Crafty Knits: Happy Victoria Day! Just wanted to wish my fellow Canadians a Happy Victoria Day! Or, for those of you who don't really care what holiday we're celebrating, Happy May Long Weekend! And if you're not celebrating a holiday today, hope you have a fabulous day anyway! I'm planning on spending the day chillin', relaxing', knittin', maybe some baking, and having some quality family time with Brett and the Munchkin! Oh, Happy Victoria Day. Those of us who live in Victoria, Australia, will be thinking of you!! Perhaps I should be celebrating too? I say you should celebrate too! 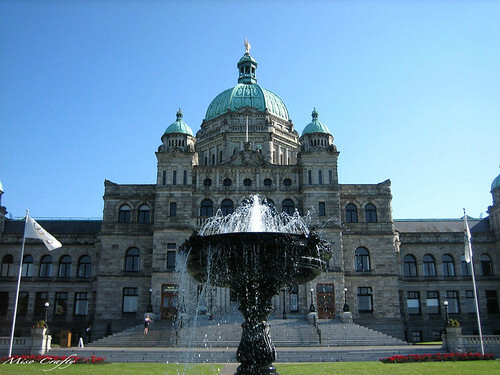 ;) Anyone who lives in a city named Victoria is free to celebrate Victoria Day! Why not?